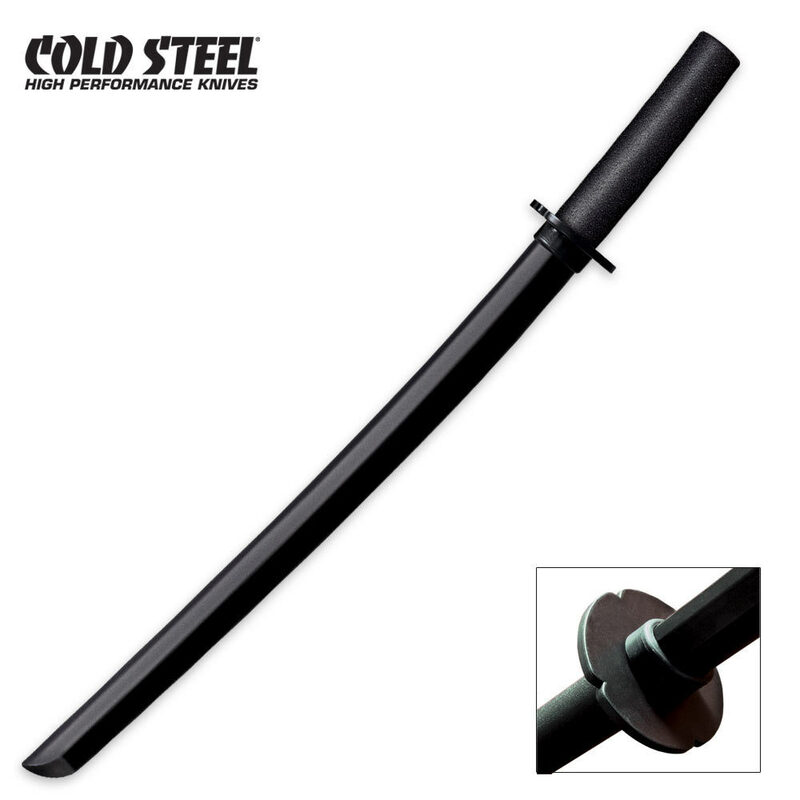 Cold Steel's Wakizashi Bokken is made of the heaviest grade polypropylene available and closely duplicates a real Wakizashi in length, size, weight, and feel. While it is not quite as rigid as wood, they have the advantages of being virtually unbreakable and remarkably stiff and cut resistant. Constructed from polypropylene. 27 3/8 in. overall. Got it, been messing with it; complements the katana bokken perfectly, wields very well on it's own. I have a knack for smashing things, and this is quite the survivor(it's outlasted anything else I've ever destroyed). No noticeable damage. For $25, well worth it. AMAZING, feels very light, this is actually, in my opinion better than he wooden ones, very good quality. I have owned a lot of practice and real weapons since I started collecting and when it comes to bokken I have not found anything that holds up like this cold steel bokken. I have broken three wooden Bokken in my training and two were when my oponent was going against me while I had this cold steel bokken. The only reason to buy a wooden bokken in my opinion is that the high quality Japanese imported ones can be made to a lot of very important specifications for experts. Blade length, blade curve, handle length, and handle curve. Most people dont take into mind that there are countless styles that call for different blade styles. Yes not all katana's are shapped the same and yes there is a reason for it. This however is a great weapon for someone who is looking for something that wont break. As with my other review, I must start off with saying wow. This is absolutly great. Perfect in size, perfect in weight, just great. As with its big brother, the cold steel bokken, it is indestructible. If your looking for a light-weight, smaller practice sword, look no further. Cold Steel has the best products ever.